Fewer maternal death and reduced mortality rate for children under 5 years old. Delayed marriage and better parenting skills. More skills and knowledge enhancing women’s self-esteem and the well-being of families. 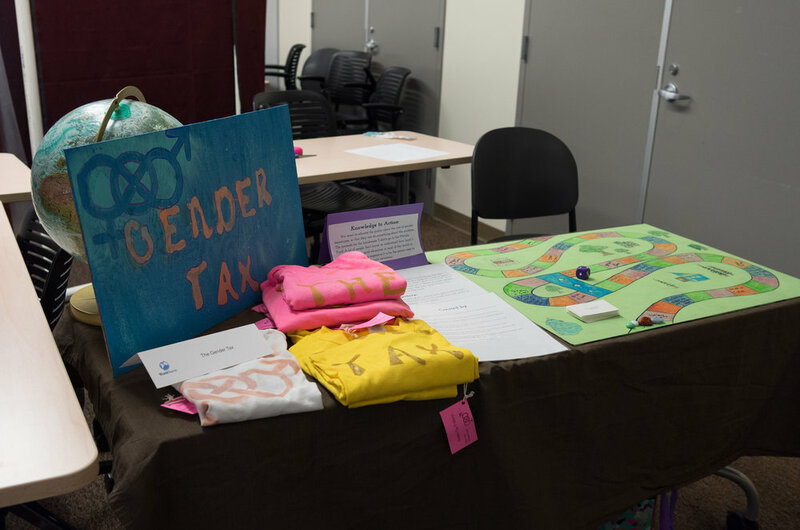 These students created a multi-faceted exhibit to demonstrate gender stereotypes and the male/female pay gap: A roleplaying game depicting gender stereotypes such as the different prices in consumer goods and the pay gap, and selling T-shirts based on the average male/female pay scale.